A naturally "bee" blended honey that is collected from hives placed in paddocks full of wildflowers. 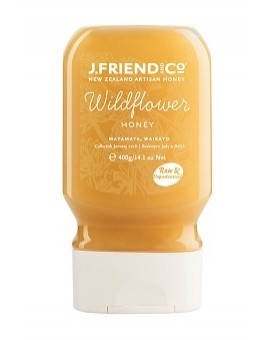 Wildflower honey has a subtle floral fragrance balanced by fruity citrus flavours. Available in a convenient squeezy bottle - use it in drizzling, cooking, baking or adding to hot or cold drinks.